Every business encounters difficult customers at one stage or another. How you handle difficult customer situations is critical to your bottom line. Good customer complaint management can turn a negative experience into a positive one. CX Training provides conflict resolution training to help you develop effective customer complaint management that benefits your customers and your business. Turn customer complaints and conflict into a positive customer experience and opportunity to improve your business with our conflict resolution training. 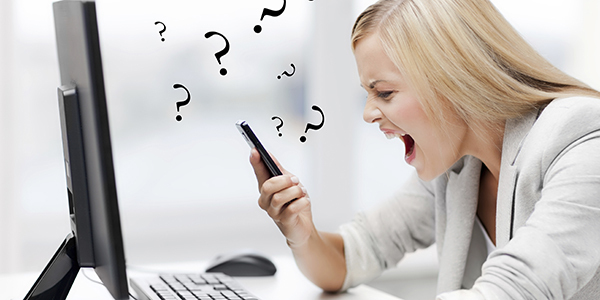 Customer complaints are inevitable – but it’s how you deal with them that matters. Whether faced with angry complaints or the vast range of other difficult customers, the aim should always be a positive resolution rather than personal defence or validation. Successfully resolving a customer issue can turn a negative experience around, leading to respect and loyalty from that customer. Our conflict resolution training helps you develop and improve your emotional intelligence in terms of self-awareness, self-management, empathy and personal communications. Once you understand both yourself and customers, we’ll lead you through various communications strategies – the right language, the right questions and the right responses – to confidently handle the situation and find a solution. CX Training can help your team better understand customers’ emotional needs and the dynamics of conflict so they can turn a tense situation into a positive customer experience. At CX Training, we believe resolving difficult situations is the single biggest test of an individual’s emotional intelligence. We can help people understand how their behaviours impact different situations, understand customer needs, and then develop the discipline to focus on a solution – not personal validation. Want to learn more about our conflict resolution training and customer complaint management training? Complete the form below for a free strategy consultation, or contact us on [email protected] or 0404 266 174 to discuss your needs today.